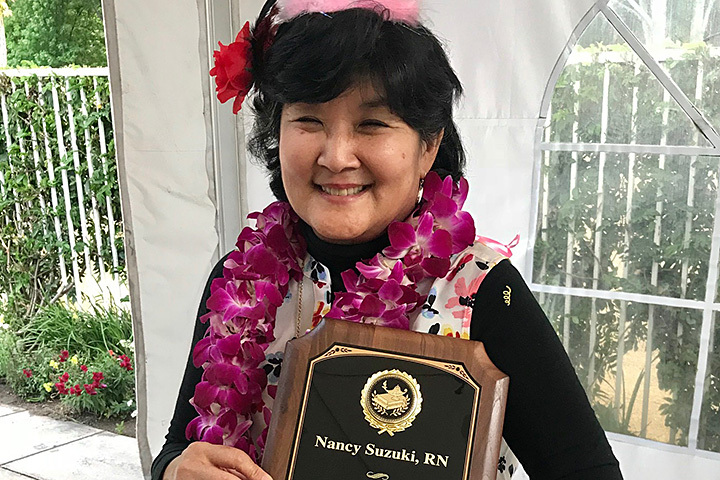 Nancy Suzuki, a nurse at Lakewood High School, has won the School Nurse of the Year Award from the Long Beach School Nurses Association. Suzuki has served as a school nurse in the Long Beach Unified School District for more than 20 years. The Nurses Association also recently announced the winner of its Friend of School Nurses Award. This honor went to Susan Cortés, a foster youth social worker for the school district. She was recognized for always being available as a valuable resource to assist school nurses.